In a solid NFC matchup in Week 1, the Arizona Cardinals head to the Motor City to take on the Detroit Lions inside Ford Field. There is nothing like a potential NFC Playoff preview in Week 1 of the NFL season, and that is exactly what we are going to get when the Arizona Cardinals take on the Detroit Lions. The Lions won a Wildcard spot last season, though they certainly could have won the NFC North if they finished the year strong. The Cardinals were on the outside looking in, only a year removed from making it to the NFC Championship Game. These two teams will go head to head inside Ford Field on Sunday, and it is going to be a good one. The Cardinals saw veterans Carson Palmer and Larry Fitzgerald return for another run this offseason, and the team may have the best running back in the NFC. They have the weapons on offense to put up points in bunches, and their defense should be much-improved this year as well. For the Lions, they invested a ton of money in their franchise quarterback this Summer, and rightfully so. Matthew Stafford has put up big numbers every season since coming into the league, and led the team to the playoffs last season despite having his best weapon in Calvin Johnson retire suddenly after the 2015 season. He will be looking to make a return trip in 2017, but the Lions know they have a long road ahead of them. This could be one of the better matchups on the slate in the early games on Sunday, so make sure you tune in. Stafford has the weapons he needs to get back to the playoffs, but question marks are all over this defense. 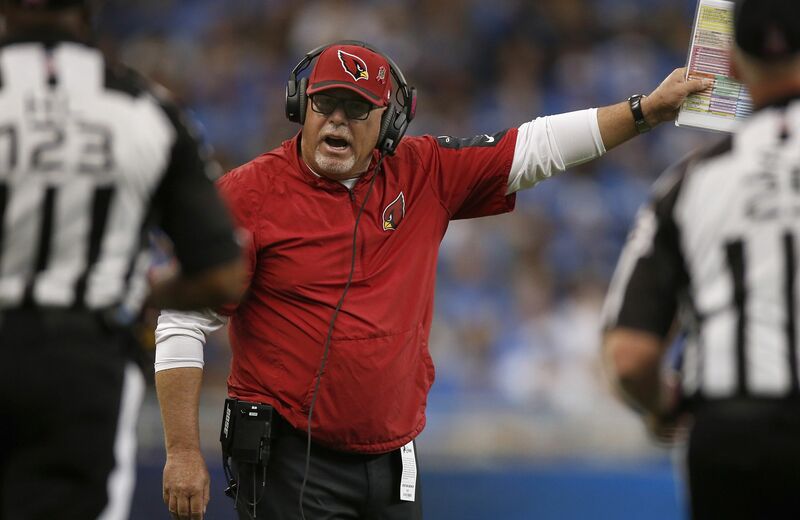 Arizona may have one of the more balanced rosters in the NFC, though they know their window is closing with some of the older players on their team. Highlights will be posted throughout the game. Possibly the best two-way back in the NFC, David Johnson has become a star in the NFL the last two seasons. He enters the 2017 campaign ready to take the next step, and gives the Cardinals such a dynamic weapon on the offensive side of the ball. Expect a big game out of him in this one, as he will likely find paydirt more than once. The big-arm quarterback got the big contract this offseason, and will be looking to prove he was well worth money. Stafford has the ability to throw for 400 yards every time out, and while the Cardinals secondary is solid, he should still throw for close to 300 in this one. Look for at least two touchdowns from Stafford on Sunday, in another solid effort from the Georgia product. He may be getting up there in age, but Larry Fitzgerald is still a very productive wide receiver. Quarterback Carson Palmer is going to look to get the ball to him early, and often, as he has shown no signs of slowing down. There is not much time for Fitzgerald to get back to a Super Bowl, so I expect a big season from him in the desert this year. This matchup on Sunday is going to be a good one, as both teams figure to play a big role in the NFC playoff picture. The Cardinals are a rare road favorite, but that could all change by gametime. With an over/under under 50.0 points, there could be some serious money to be made in this one. Head over to SportsBook Review for the latest odds prior to kickoff. The Cardinals will stay on the road in Week 2, as they travel to Indianapolis to take on the Colts. Detroit will hit the road for their first game away from Ford Field, playing in a primetime matchup against the New York Giants on Monday Night Football.